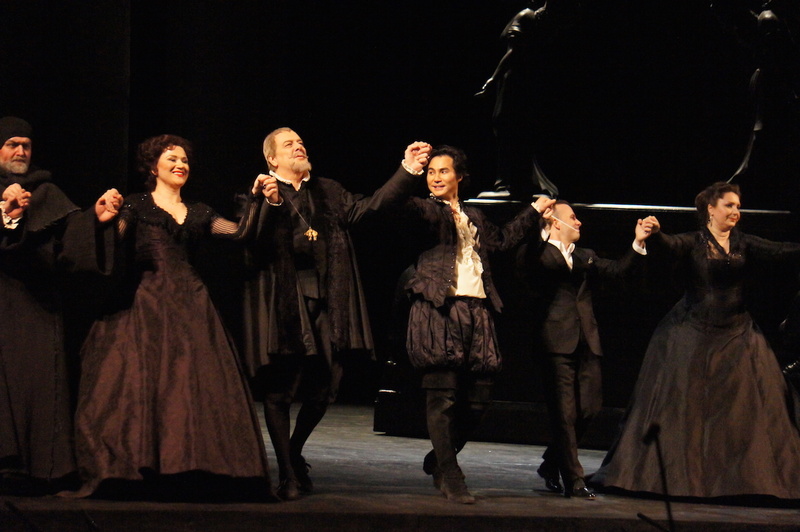 Five superb lead singers distinguish Met Opera’s revival of the 2010 co-production of Verdi’s epic drama Don Carlo. 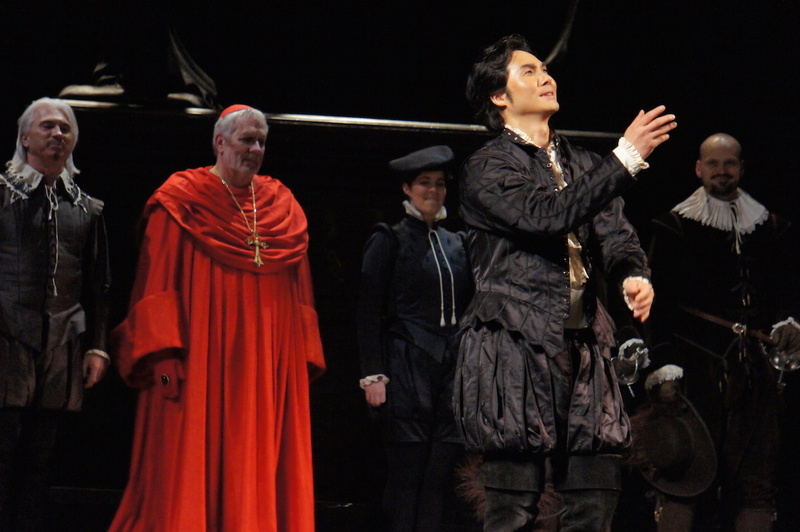 Rising tenor Yonghoon Lee looks set to take the next step to fame after an electrifying performance in the title role. On stage alone to open the show, Lee absolutely nails Carlos’ big aria “Io la vidi.” The crowd roars their approval, and the tone is set for a glorious night of music. Visibly relaxed after the successful beginning, Lee beams with confidence throughout, and the stage energy noticeably lifts in his every scene. 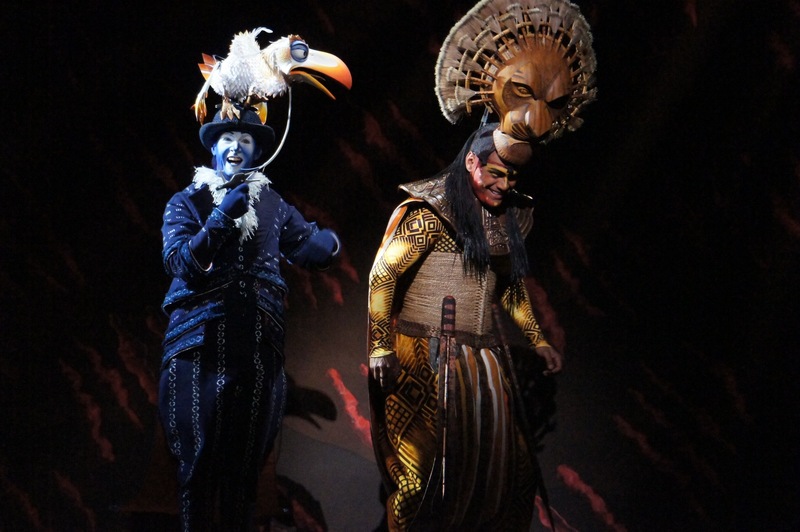 A key strength of Lee’s tenor is the even tone between mid-range and high notes; he soars up and down his register with no change of vocal style. Coupled with the wonderfully romantic sound he produces, this is a voice to treasure. 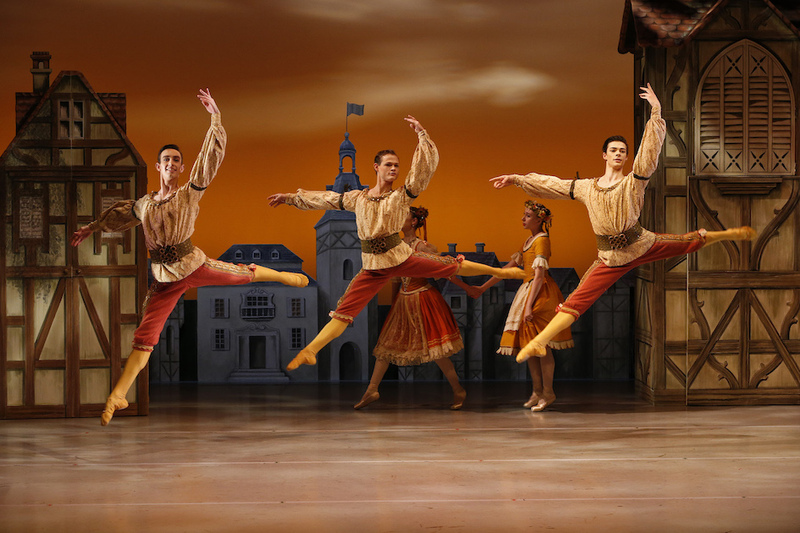 For this co-production (shared with Royal Opera and Norwegian Opera and Ballet), Nicholas Hytner has the ingenious concept of using lavish, detailed period costumes against clean, post-modern, stylised interpretations of the settings. The striking effect begins with a stark white winter forest, where a hunting party in gorgeous midnight blue is seen. From there, designer Bob Crowley using a dramatic palette of blacks, reds and gold. Lighting designer Mark Henderson keeps the actors clearly seen but using plenty of shadow for added menace. The climactic reveal of the burning heretics behind the giant cloth showing Christ’s passion is a particular highlight in the lighting effects. Revival stage director J. Knighten Smith tempers the energy of the surging crowd scenes with the quiet stillness of the interplay between lead characters. 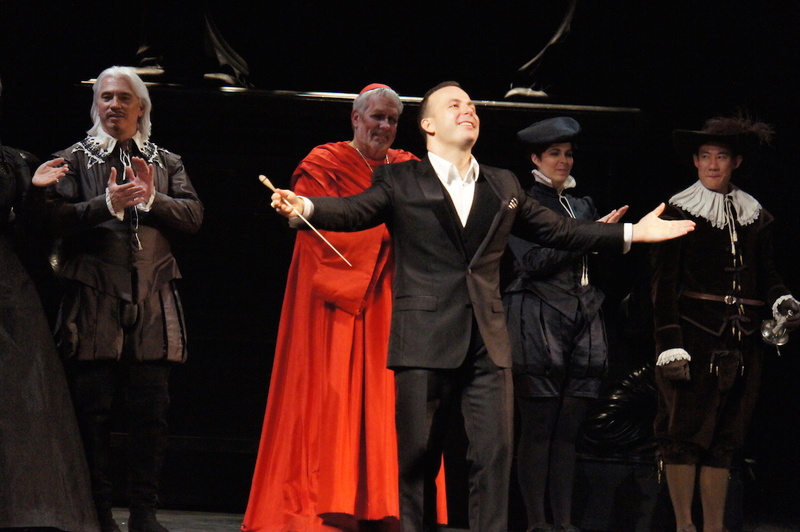 Maestro Yannick Nézet-Séguin leads the Metropolitan Opera Orchestra in a pristine performance of the score. Sweet playing from the strings contrasts nicely with the occasional booming effects required from the brass. Wherever possible, Nézet-Séguin enjoys bringing out the playful sequences of the music. Italian bass Ferruccio Furlanetto is well established in the role of tormented King of Spain, Philip II. After the heightened activity of act three, Furlanetto’s performance of “Ella giammai m’amò” is a masterclass in quiet introspection. 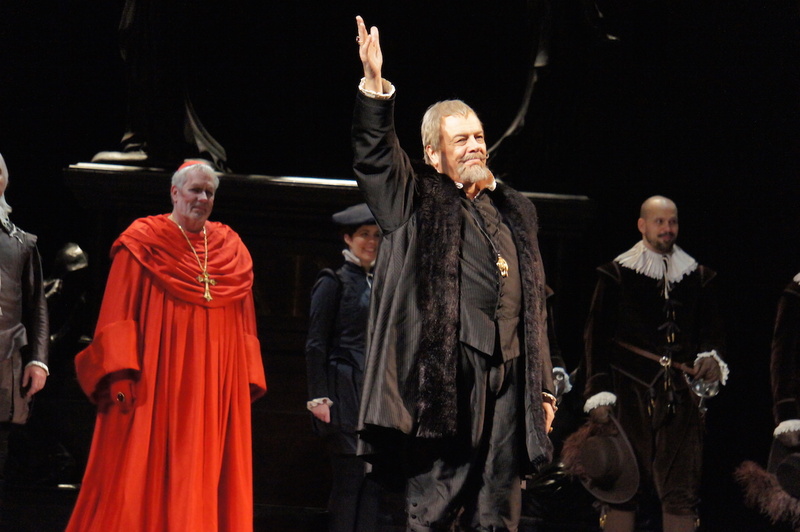 Such is his level of control, the booming bass voice flows out powerfully with little sign of effort from Furlanetto. The subsequent duet with James Morris, as The Grand Inquisitor, doubles the thrill with a pair of basses singing together. In supremely fine voice, Dmitri Hvorostovsky runs the gamut as Rodrigo, Marquis of Posa, moving from loving friend to scheming ally, to courageous soldier, to fearful mortal. Perfectly matched by Lee, the pair delivers a brilliant rendition of the friendship duet “Dio, che nell’alma infondere.” Hvorostovsky’s scene with Furlanetto at the end of act two, as Posa cultivates the King’s confidence, displays the intensity and spark that are hallmarks of his work. 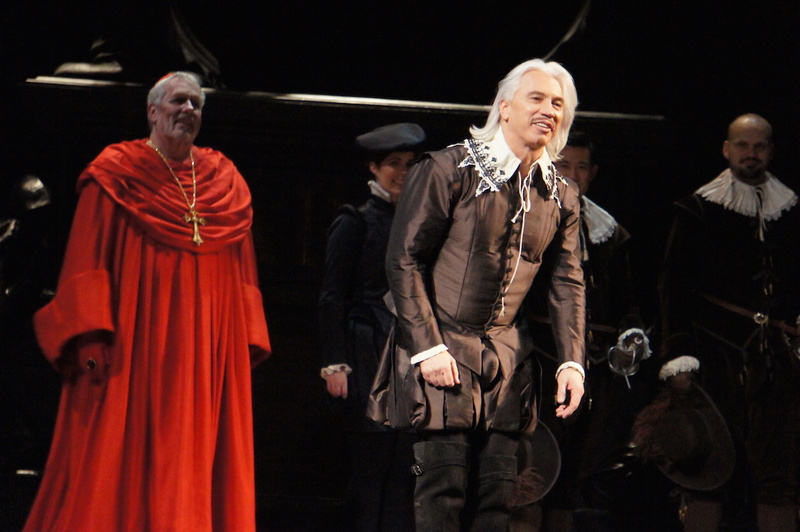 A performer more accustomed to displaying such bravado, Hvorostovsky transforms his acting style as Posa faces death, matching this with an extraordinary change in vocal technique to communicate Posa’s wavering courage. This final scene of Hvorostovsky’s was extremely affecting. 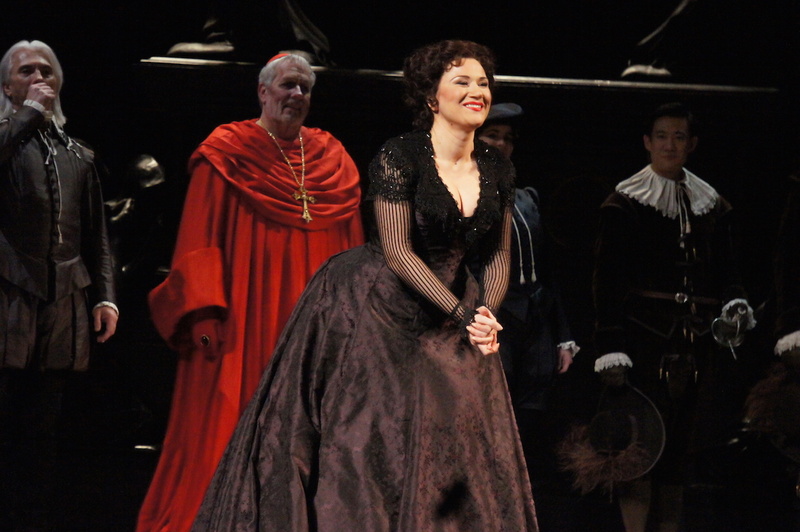 As the glamorous Princess of Eboli, Russian mezzo-soprano Ekaterina Gubanova is ideally cast. Her Veil Song “Nel giardin del bello” is a charmingly feminine delight after all the male-centred action to that point. 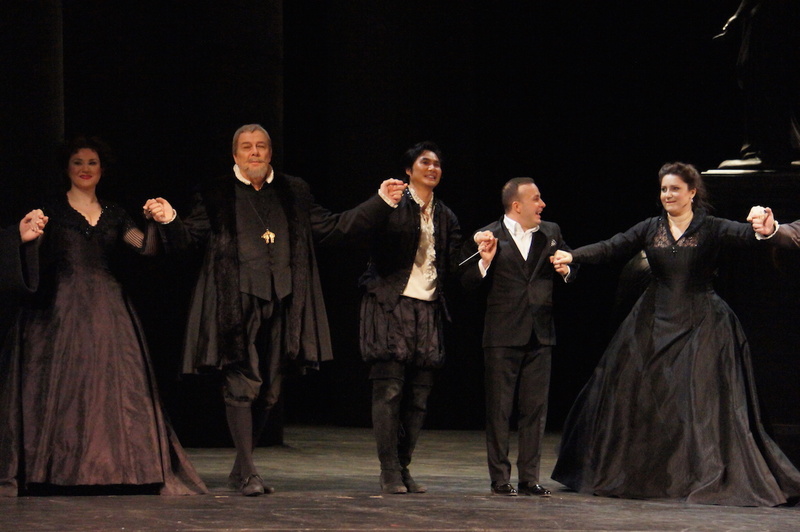 Gubanova also impresses in the act three trio with Lee and Hvorostovsky, scoring extra points for playing the scene so straight despite the melodramatic developments that occur. A special mention goes to the six men playing the Flemish Deputies, whose singing is notably excellent. 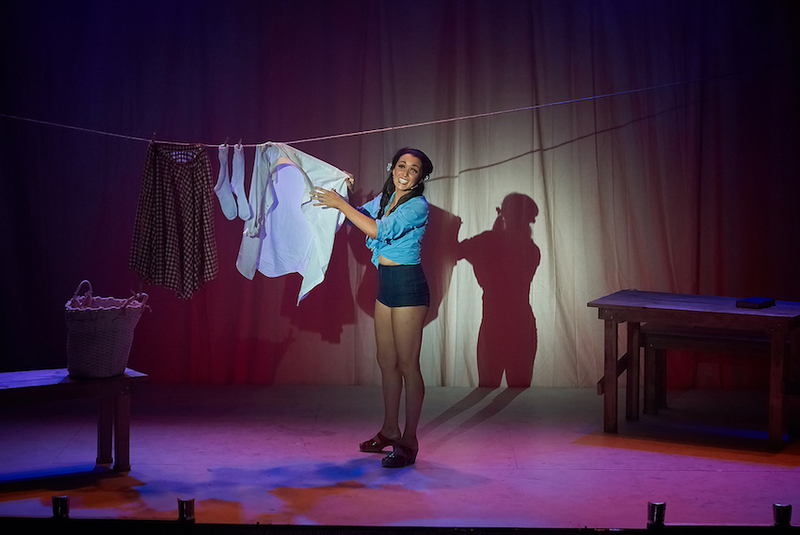 Even at 270 minutes (including two intervals), the time fairly flies by as the combined efforts of Verdi and the production team and cast deliver a thrill a minute. The Met has served the piece extremely well by assembling such sterling singers for this revival. 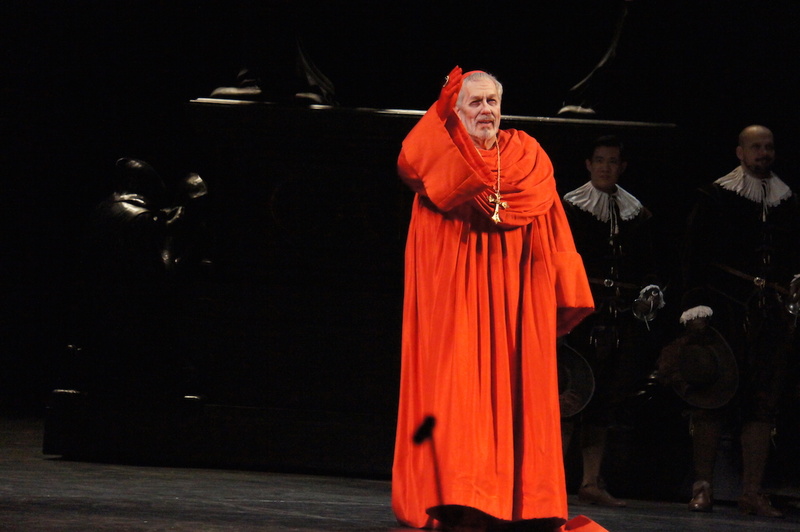 Don Carlos was reviewed at Metropolitan Opera House, New York 7pm Monday 30 March 2015. It plays selected dates until 25 April 2015. 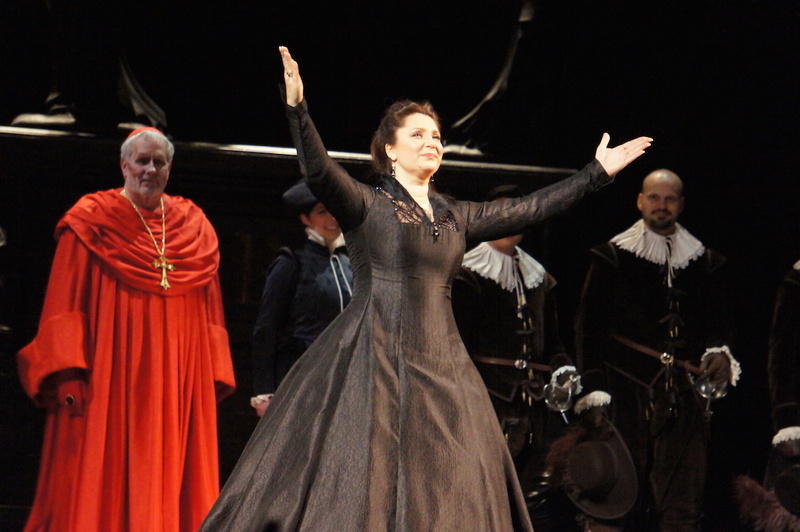 We listened to Don Carlo on Sirius radio and were amazed that it went by so quickly for a massive opera. The cast was magnificent. We heard considerable more maturity in Lee’s voice this time than when we saw this live in NY in 2010. Thanks for your comments David. The radio broadcasts are such a wonderful service. I find it quite miraculous to listen to the House live when I am home in Australia. It will be interesting to see whether Lee makes the leap to the next tier of stardom. Menawhile, I am really looking forward to seeing him as Calaf in Turandot at Sydney Opera House in July.